Powers/Abilities: Unknown. Portal carries an extremely large gun, but it's unclear what, if any, other powers he has. History: After being murdered by the villainous Kobalt, Kolja Ivanovic was revived by the scientific genius Nikola Tesla, and transformed into a superhuman. 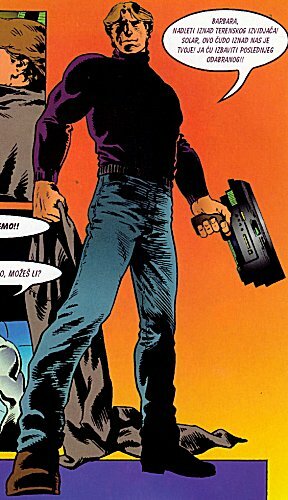 Kolja became Portal, one of Nikola's new team of heroes, Generacija Tesla.